The Ricordi Historical Archive is a private collection of original documents, testimony of two centuries of company activity since its foundation in 1808. The collection of noteworthy relevance with regards to Italy’s musical and theatrical history, is housed in the Braidense National Library in Milan, assisted by Archive team. Access to the reference work service is by pre-arranged appointment only. It is necessary to first send a prior request about the topic, the period and the aim of the reference work by email to the following address:archivio@archivioricordi.com. The reference work must be previously authorized by Ricordi and visitors must declare to accept the rules and its conditions. Ricordi & C. reserves the right to deny access to, and release of requested archive documents, depending on the requesting company’s activity. Personal information about the visitor will be used only for internal use, according to privacy laws. Requests for reproduction of documents must be done in writing through the appropriate forms. Requests are evaluated individually by Ricordi, which preserves the right to accept or deny any reproduction. When Reproduction is for commercial use, Ricordi & C. will define the economic and financial conditions to license the said documents. Any use of Historical Archive documents must bear quotation of the lender: “Archivio Storico Ricordi © Ricordi & C. Milano” with the prohibition of any further reproduction or duplication in any medium. 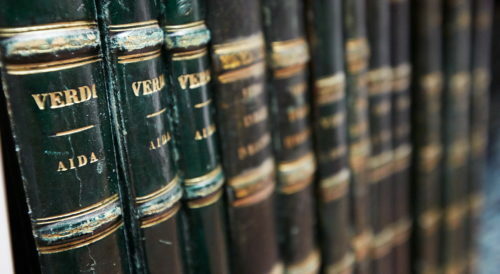 The documents of the Historical Archive are not available for loan, except for exceptional circumstances such temporary exhibitions, and according to legal dispositions. The loan of rare and valuable documents is allowed only with the approval of Ricordi and the Soprintendenza Archivistica per la Lombardia. If approval is granted, the requesting institution is fully responsible for the conservation of the documents during the load period and must cover the costs of packing, transport, insurance and any further cost necessary to protect and display the documents in the proper way. Please read the Braidense National Library rules for any further information.